This entry was posted in Ariff, AutoCross, Gymkhana, Sync Optima Events and tagged Gymkhana competition Malaysia, Gymkhana lessons, Gymkhana Malaysia, Gymkhana series 2017, Malaysia Motorsport on December 1, 2016 by skagee. 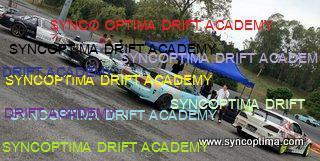 2012 was a year that we took a hiatus on competitive drifting as we only competed in two events throughout the year. and KBS Drift Challenge Round 1 where I bagged 2nd place..
We fared decently considering I have a lot more to learn when it came to gymkhana driving techniques and the car used during competition is not considered to be ideal as it was laggy and had gearings that is too high for this genre of competition. We had fun nevertheless 2012 also had us teaming up with Petronas Malaysia where we had the opportunity to represent them in promoting their Primax Xtra fuel in a form of a drift ride road tour in whic had us traveling to 10 different states around Malaysia. Most notably 2012 was the year that had Jane and I brought into the GT Radial tires family. With the support of Heap Joo sdn bhd, the Malaysian Distributor. Jane and I are currently representing and competing with their extremely high performance tires!! Though having a fairly hectic schedule, we did manage to slot in quiet a handful of SODA classes. 2013 saw me doing some work with car manufactures as an instructor. On the circuit, the Megalap competition held on that day , saw the all the sponsored drivers either improving on their previous timings or had podium in their respective classes. This is a true testament of how well these tires performs! 2013 had Jane and I back into competitive drifting with us participating in the Federal PRO AM Drift series. I have to admit my debut into competition was not exactly spectacular due to some confusion with what the exact criteria the judges were looking for .But I had slowly progressed on the subsequent rounds..
Jane has been improving steadily with qualifying as high as 9th amongst the big names and finishing into the top 8’s in recent competitions as the RacePod drift series held in Malacca ! Well I hope this brief insight of what had happened these past 7 months justifies me not updating this blog but I do however vow to do weekly updates from now on. This entry was posted in Ariff, GT Radial, Sync Optima Events and tagged bloodmasters conemasters drift drift alliance Drift Challenge drifting drift training DSTROYR DSTROYR Malaysia federal tyres federal tyres pro am drift series formula drift formula drift asia formula on August 2, 2013 by skagee. The course that was set by sole judge, Ah Keat, was the usual ‘R’ Shape with a single rear clipping zone and two front clipping points. What made it different was the line that he wanted us to take; Entering in third gear, we were required to take a angular line towards the rear clipping zone!! To be honest, I was a bit confused about what the judge wanted when my run where I clipped the rear zone (knocking a cone off) and nailing the two front clipping points only earned me an 9th qualifying placing . Unfortunately Jane’s runs , which I thought were good, wasn’t good enough to make it to the top 16. My next opponent was top qualifier Tan Tat Wei. My AE86 was no match to his high powered hatchi but unfortunately he made a fatal mistake of following too closely on this tight course which ended in him rear ending me during the switch over and straightening in the process. With that, I’m in the top 4!! Top 4 was against me an Zulfikar. Zul was still struggling to get in grips in his newly transplanted SR20 turboed trueno. An uncharacteristic spin by Zul and strong chase run by me ,allowed me advance to the finals. Cool sequence shots taken from www.rattlezasia.blogspot.com. The finals was me against Derrick Lim. At this point, with the total of six tsusio runs I had, along with the two qualifying runs I was still using the same pair of Goodyear Duraplus tires at the rear. Jane was getting a bit worried if they would last the next couple of runs but after thoroughly inspecting them, we were amazed that they were good enough to go for another dozen of runs!! Most importantly, the grip level stayed consistent throughout. I believe this gave me the advantage against Derrick as I was alot quicker than him during our runs even when I was short of more than 50 horses against his car!! In the end of the video by eddie88 (www.zakumalaya.com) below , shows the final tandem battle of me against Derrick ! After a disastrous Formula Drift Malaysia last December, it was good to be on the podium again . Five months had past when my S13 is finally ready. With a hefty power up grade and a newly acquired control arms and knuckles, the round 2 of the ACE Dift Challenge seem like the perfect opportunity to test out the car before Formula Drift Singapore 2010, scheduled was 2 weeks later. However, things didnt go as smoothly a planned with an untimely failed LSD and a misaligned knuckle kit that would either cause me to straighten or spin at any given moment.I had barely scraped through qualifying with an 8th placing but got knocked out early by Hong when the s13 veered off course during my lead. Jane wasn’t spared either as she had suddenly developed misfiring issues right during qualifying! We were glad that we were able to identify the problem and have two weeks to rectify them! With our maid having to go for surgery. We had Johanna with us for this round of competition. I was a bit worried as the environment at Afamosa isnt what I would call ideal for a two year old . So Jane and I had took turns looking after her while one of us would go out for practice. It helped also, that Yoong and Swee Kin had brought along their daughter Sze Yun to Malacca too. Swee kin had the daunting task of looking after both of them when we both were out during practice!! Thanks Swee Kin!! We had taken baby steps to develop the handling department of the S13 since it debut in April and we are glad to say that we are almost there. Our experience during round 2 of FX Open ( report will be done later) had exposed the car’s weakness of its intitial set up.The car handles alot better after making a few adjustments and we reckon we are able to make it even more faster. I managed to qualify 3rd with two strong runs with Jane making into the top 32 with a 28th placing!! Having to take care of Johanna and also not having (our photo/videographer,caretaker and friend) Kevin Boey around results in having no drifting photos of the event!! My apologies..
Jane had to go against Kecik of Sultan Sulaiman Team. Jane did a strong trailling run but had straighten during her turn to lead.A One More Time was called. Unfortunately Jane had straighten during both of the runs giving the win to Kecik. I believe with her new power upgrade coming up, she wouldn’t have to struggle so much during her tsusio run. This entry was posted in Ariff, Drifting, General Events, Goodyear, Posting by Ariff, Yon-A and tagged Ace drift challenge, ae86 supercharge, ariff drift, duraplus, Goodyear, malacca famosa, malaysian drift, malaysian drift series, s13 gt3037 on August 28, 2010 by skagee. This entry was posted in Ariff, Life Style, Rambling, Skylines, Yon-A and tagged ae86, duraplus, Goodyear, Skylines on October 1, 2009 by skagee. It is a tradition for us to have a meet up during the many festive holidays that our multi national country celebrates. For this Hari Raya we had a gathering in Sunway for a mini Wangan session to a secret location 😉 . Bringing the panda AE86 to a meet such as this ,perfectly exemplify the term ‘ Bringing a knife to a gun fight‘ especially in the presences of 500WHP Skylines ,Type Rs and a couple of souped up Hondas! B)Structural integrity; as expected , the tires did not developed an form of thread deformity or such after a number of high speed runs. This doesn’t come as a surprise as we had found similar results during our drift testing , which I believe is more abusive to tires! This entry was posted in Ariff, Goodyear, Life Style, Skylines, Yon-A and tagged ae86, duraplus, gathering, Goodyear, hari raya, holiday, Skylines, tire review, tyre review on September 26, 2009 by skagee.